Jordan and I have been working side by side since 2015. We quickly discovered a shared passion for storytelling through human connection and creative expression. We have found that nothing compares to the reward of documenting beautiful experiences. The stories we've had the privilege to capture all share one common message — Love. A little bit about us: we are hopeless romantics, wild for travel, and avid adventure seekers. We believe in simple acts of kindness and are always striving to make this world a more beautiful and compassionate place. Our approach is unconventional. We don’t follow a predetermined outline for our clients. Instead, we begin by getting to know who you are, what your vision is, and what is most valuable to you. With this in mind, we work hands on with your planner or designer to ensure your celebration of love is breathtakingly captured. We approach your day with the utmost care, and no detail goes overlooked. In essence, you dream it to us and we’ll make your vision a reality. On the day of your wedding, you can breathe freely and embrace every moment. As creative director, Jordyn works to guide you through every visual aspect and detail of your wedding. Jordyn seeks to curate cinematic shot lists and pair them with elegant locations and sets. She works meticulously so that no matter the moment, we capture you at your best. The day of your wedding, Jordyn also keeps a camera or two on her, to maintain an exceptional level of coverage. As lead photographer, Janelle is more technical in her process. She begins by tailoring your package with hand selected film stocks, ensuring spirited tones and harmonic color balances exclusive to your wedding. Janelle masterfully plans each aspect of your day by composing an editorial and authentic story. 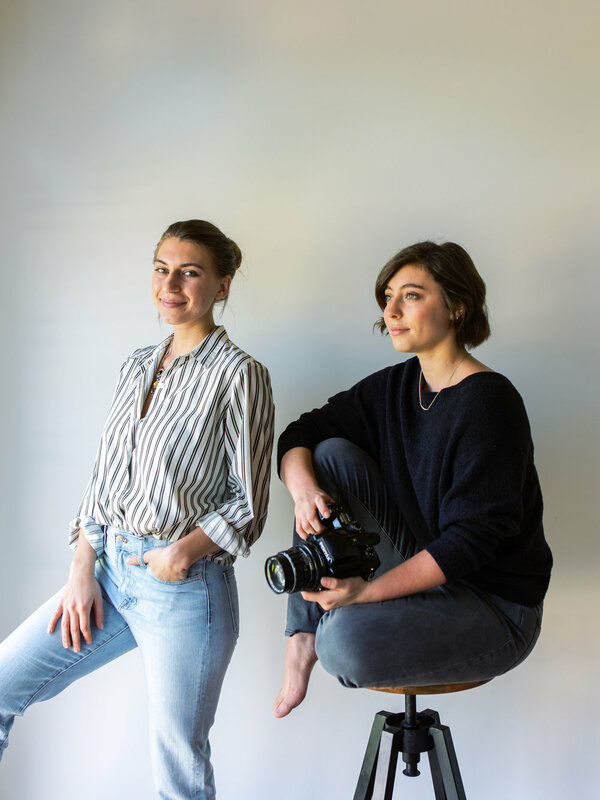 Wether it be creating evenly subdued light for a romantic evening or climbing a cliff-side for the perfect backdrop, Janelle finds the perfect balance through her lens. Together, we apply our creative enthusiasm to create a signature story— with you as the focus. You are searching for something of substance, for meaningful imagery that is both rare and exceptional. By choosing to work together, you will have a timeless collection of photographic keepsakes to cherish for years to come. © J.J. Au’Clair. All Rights Reserved. 2019.